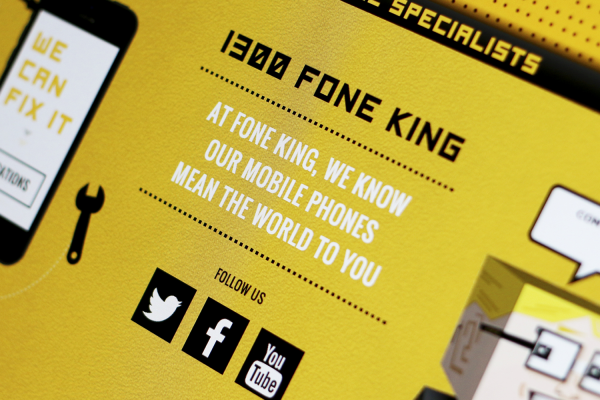 Fone King is a leading phone repair and accessories retailer in Australia that launched in 2003 when it became clear that it was rare if you didn’t own a mobile phone. The problem was there was no-one providing advice if things went wrong. 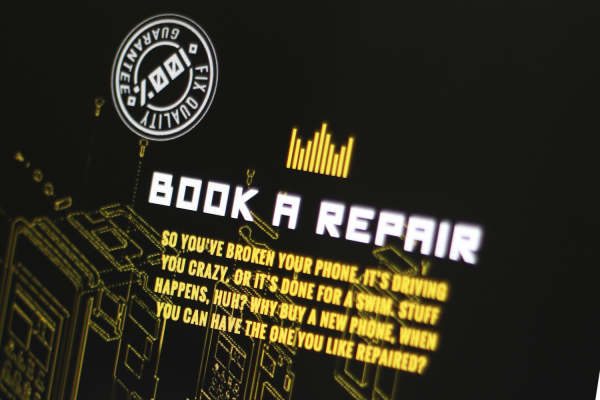 Fone King is a full-service retail solution offering repair and maintenance, but it doesn’t stop there. They are also stockists of the biggest range of protection products and accessories, and providers of the latest in data recovery technology for which they’ve become extremely well known. The brand is pioneering the mobile and tablet accessories and repairs industry by proactively staying abreast of innovation and product research globally. 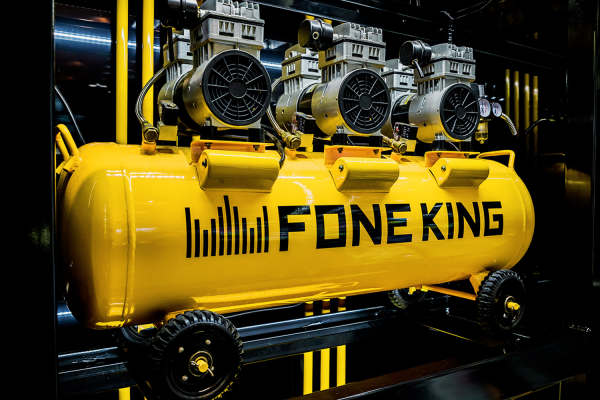 It’s no surprise that Fone King is well regarded for sourcing international markets for the most innovative and highest quality products. 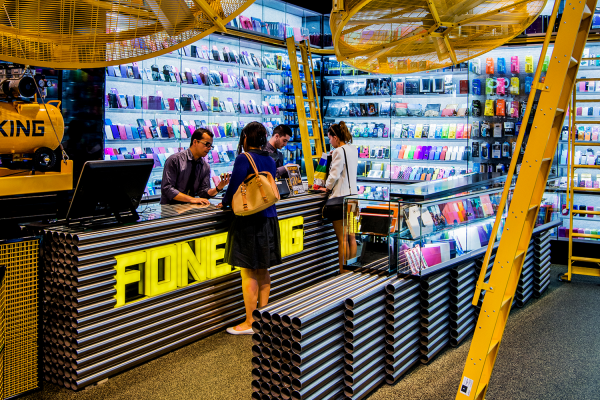 With its tried, tested and constantly evolving sales process, Fone King offers a customer experience unlike any other retail environments. 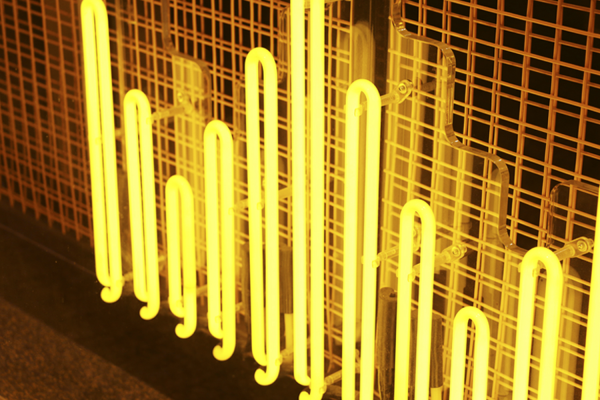 In the telecommunications industry the store experience is consistently vibrant, eye catching and cutting edge. 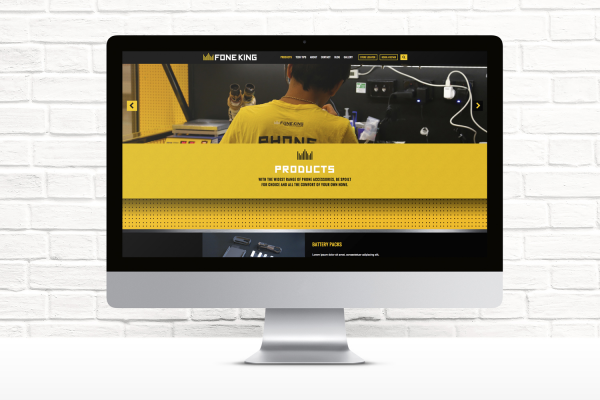 Fone King has always stayed ahead of the game in this challenging and fast-moving sector but they realised they had neglected their online presence which was disconnected from the brand’s retail experience. 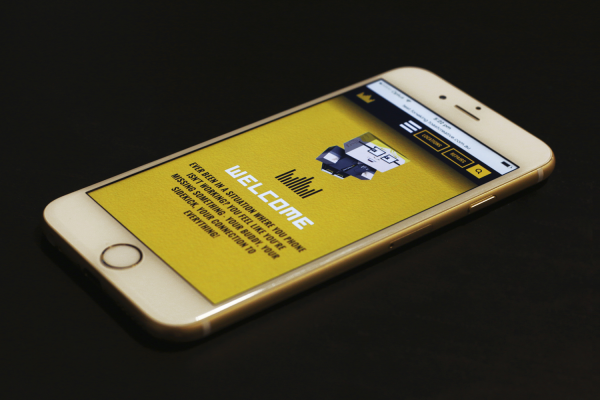 Fone King commissioned Toast Creative to elevate the brand online requiring a website redesign. The team was briefed to design and develop a new website and supply brand copywriting that could set a clear tone of voice both visually and through its brand language. (3) help consumers find their closest store (4) position Fone King as a market and thought leader by providing tips and advice and (5) offer a commerce function. 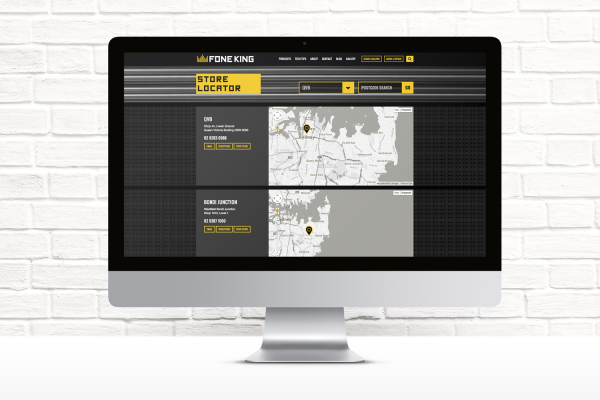 The new fully responsive website successfully brings the charm, fun and character of Fone King’s physical environment to its brand online. 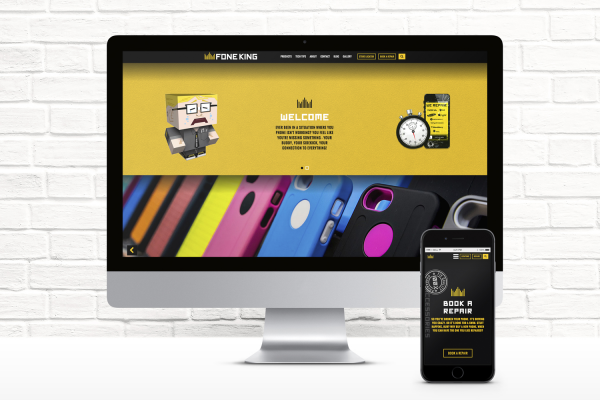 Using plenty of animation, custom characters, balloons and cracked-screen visual gags, the new website replicates the cheeky retail personality the brand has become known for, continuing customers’ Fone King brand journey online. Along with the fun of animation and fluid motion the website’s functionality features a geo-targeted store locator and a directions finder, a repair CMS management system and an e-commerce store. 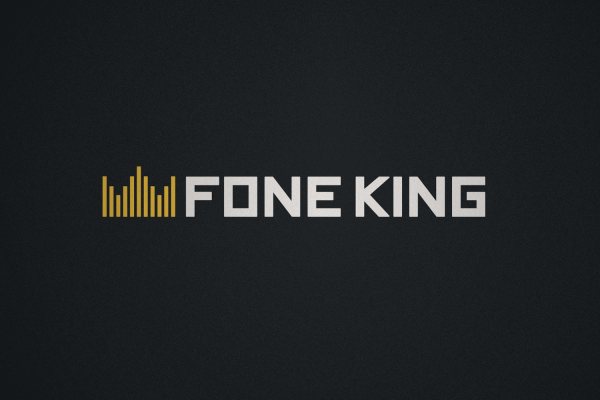 Importantly too, Fone King wanted to continue to be known as a source of practical and helpful information for mobile phone users so the site links to its blog as well a comprehensive repairs section featuring Facebook Message Us. 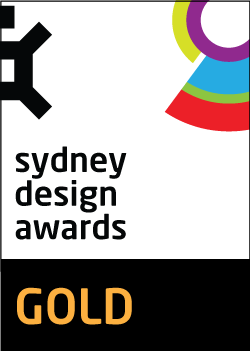 Executed independently, marketing activity included traditional SEO, Adwords and email marketing. The effectiveness of the branding and website can be aligned with approximately 60% increase in website traffic while general feedback has reported that consumers are finding stores more easily with the addition of geo-location, itself facilitating ease of path to purchase. The overall results have been excellent with an additional four stores opening since the project launched taking the number of Fone King stores to 12, nationally.